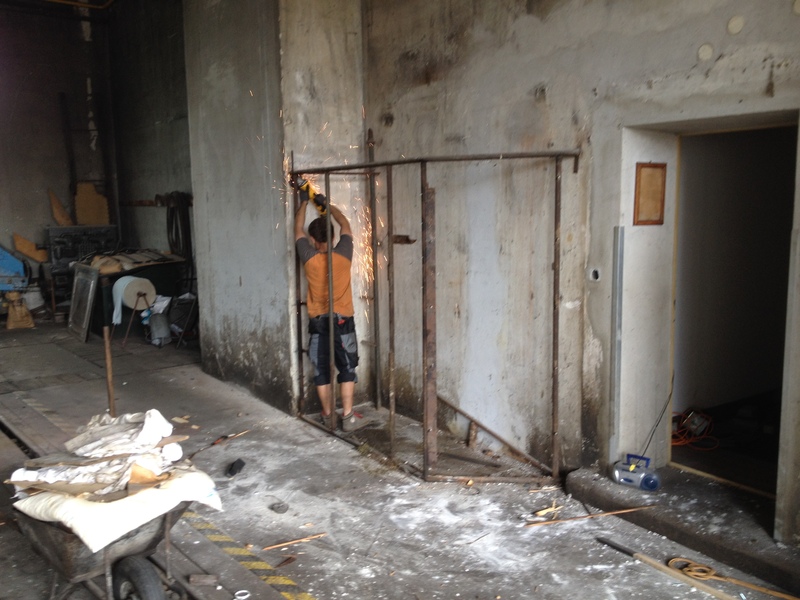 Last Friday, we started with the renovation of our diesel engine stalls 5 and 6. 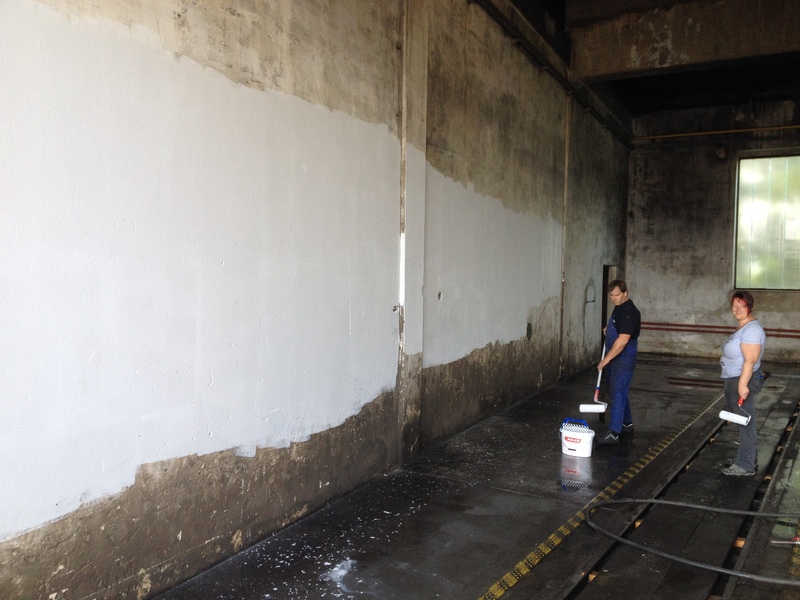 Before repainting, the section of our roundhouse had to be cleared out and cleaned by our members. 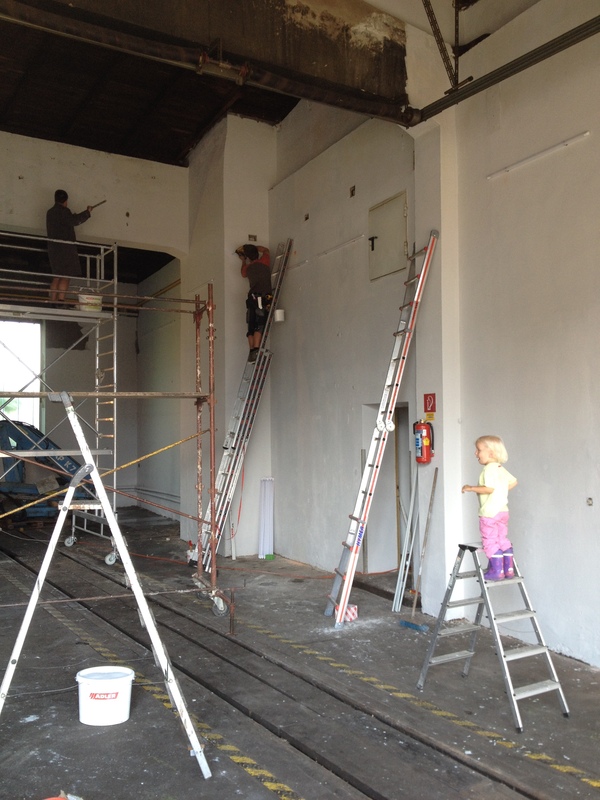 After cleaning, the walls were painted in a light grey. 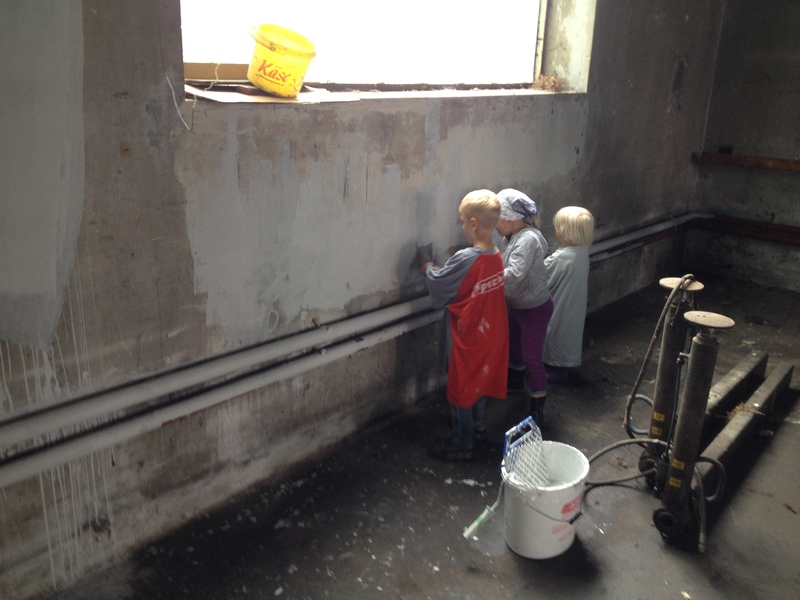 Our junior club members took care of the lowest section. Despite the bad surface, the opacity of the color already was perfect in the first layer. 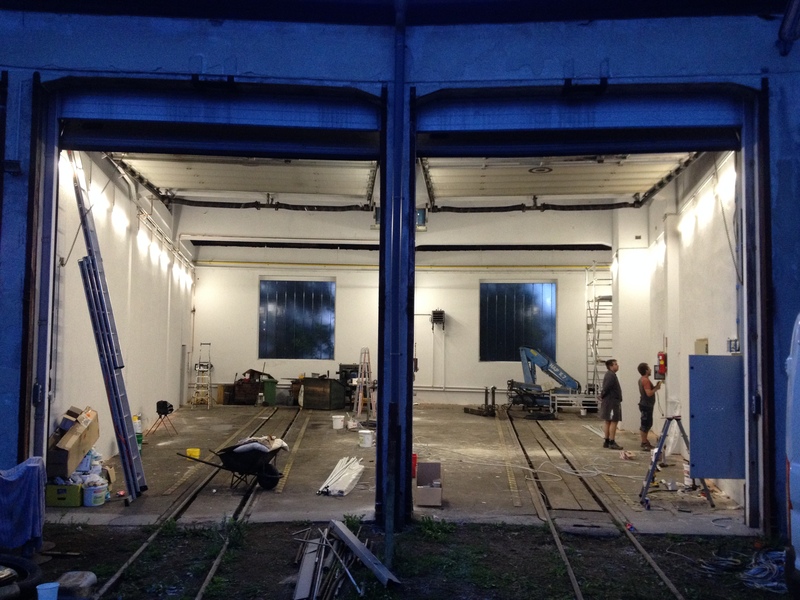 On this occasion, also the installations of both engine stalls (light, power, compressed air) were newly built. 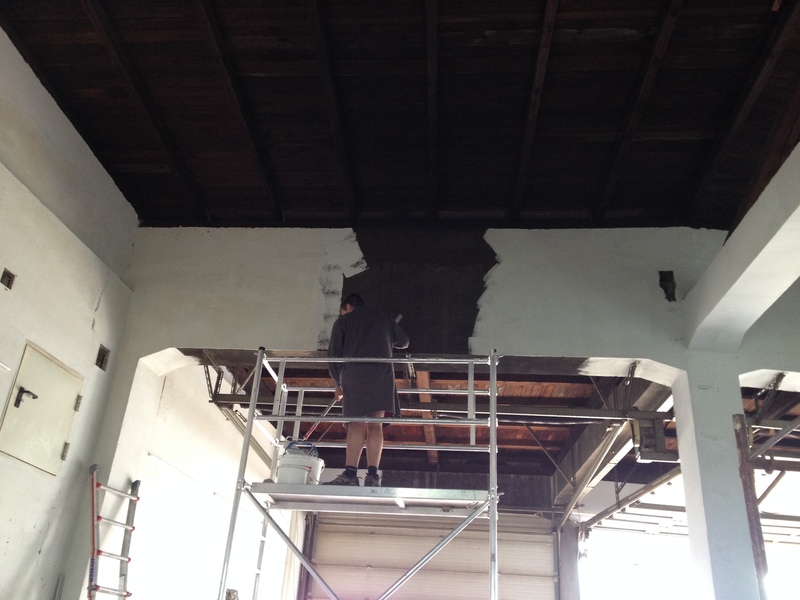 Monday evening, we were able to admire the results of our working weekend. The quality of the new LED lighting has exceeded our expectations. To reduce energy costs, it offers three different power levels. Behind the scenes, our new archivist has started to sort and cataloge our documents and drawings. Many thanks to our involved members, which can be proud of the result of their work.